DSM Quali-C Ascorbic Acid is certified GMO-Free. and support the NonProfit Foundation. You may place orders and ask questions by phone: 800-894-9025 (USA). 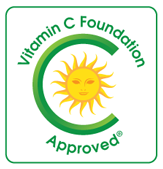 Why Choose Foundation Approved Vitamin C? Strangely, Vitamin C is not a "vitamin" for most animals. As a rule, most species make the vitamin in their livers or kidneys in amounts adjusted for body weight between 3,000 and 13,000 milligrams. There are exceptions. A few animals must obtain some vitamin C in their diets every day because they are unable to make it. These are the guinea pig, fruit bat, several species of parrot and several high order primates, including humans. Pauling's reasoning was that this amount matched blood levels in animals that make their own vitamin C. He adjusted for his body weight and accounted for loss in the gut during digestion. His daily amount was divided into two equal dosages of 9,000 mg, to which he added a teaspoon of sodium bicarbonate (baking soda). 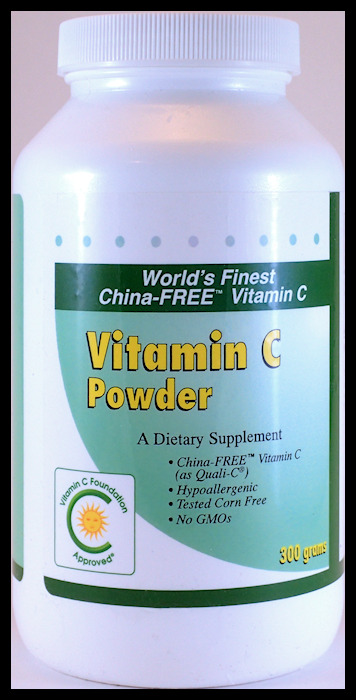 We are all individuals with varying requirements for vitamin C. The Russell Jaffe Vitamin C Calibration (sometimes called Cleanse) can be used to estimate the daily need. The Jaffe technique uses the highest one-time amount that can be consumed without diarrhea -- usually 3 to 10 grams. This amount is taken every 15 minutes until there is a watery "discharge," usually around the two hour point. 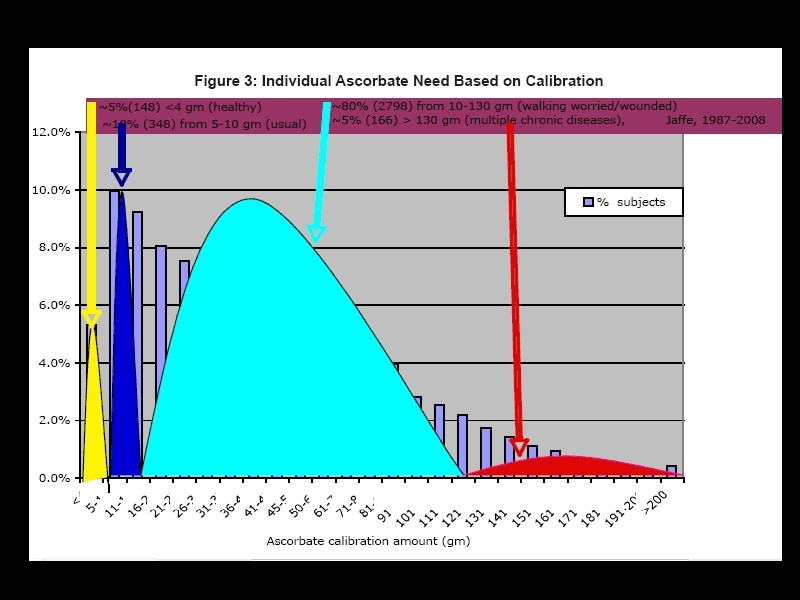 75% of the amount taken during the calibration is the recommended daily amount.